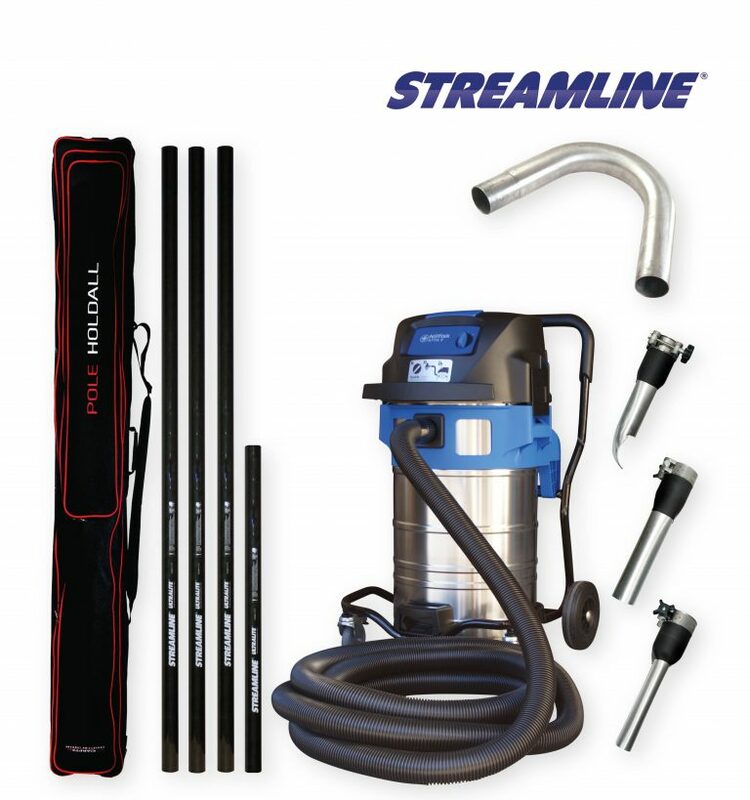 The STREAMVAC™ internal dry vacuum system allows you to reach up to 10 metres without the need of ladders or other lifting equipment, and enables you to vacuum up dust and dirt in high level applications. 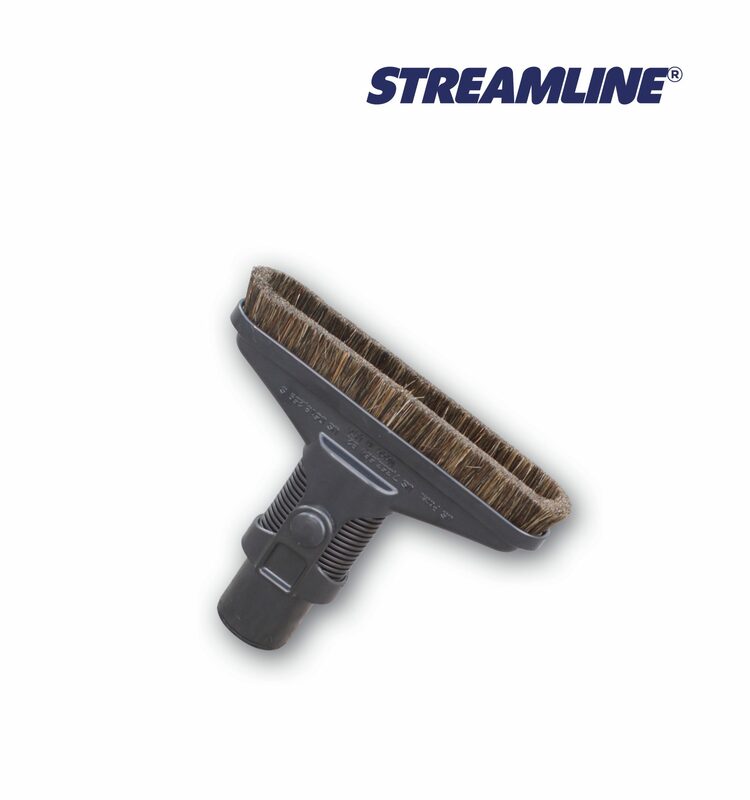 The 230v Numatic vacuum system provides excellent suction for removing that dirt and dust. 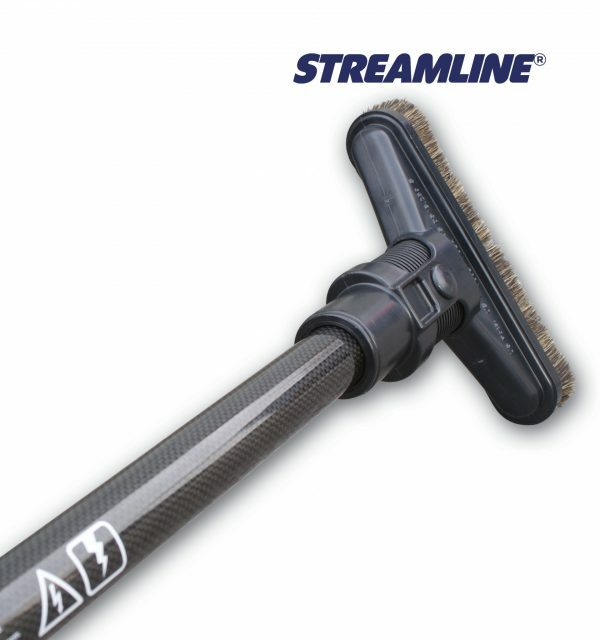 The modular carbon fiber pole sections are exceptionally light yet very rigid. These simply push into each other, creating a funnel effect, allowing reach up to 6.2-metres high. 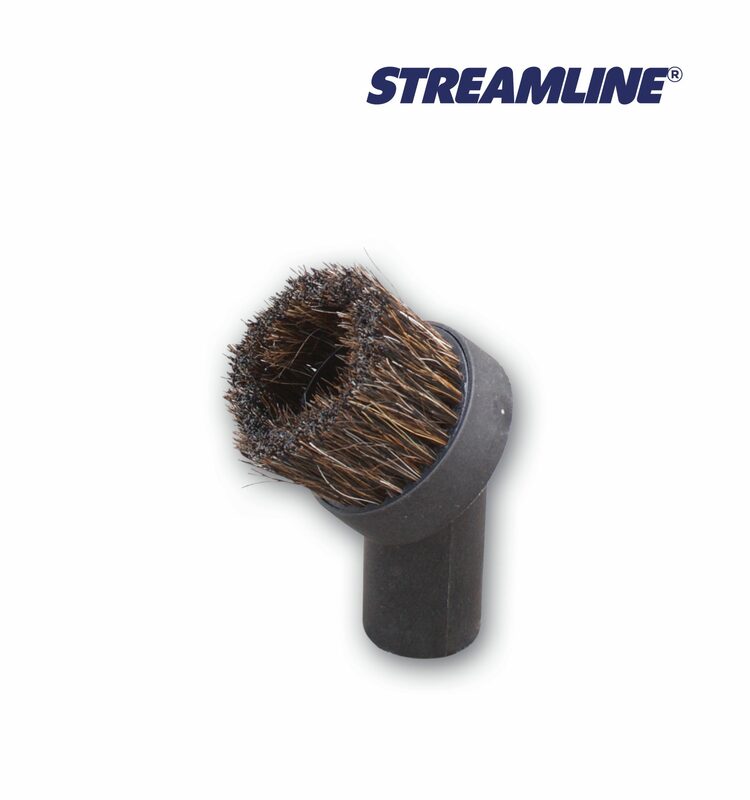 Various attachments can be fitted to the end of the pole section with a standard 32mm adapter supplied in the kit. 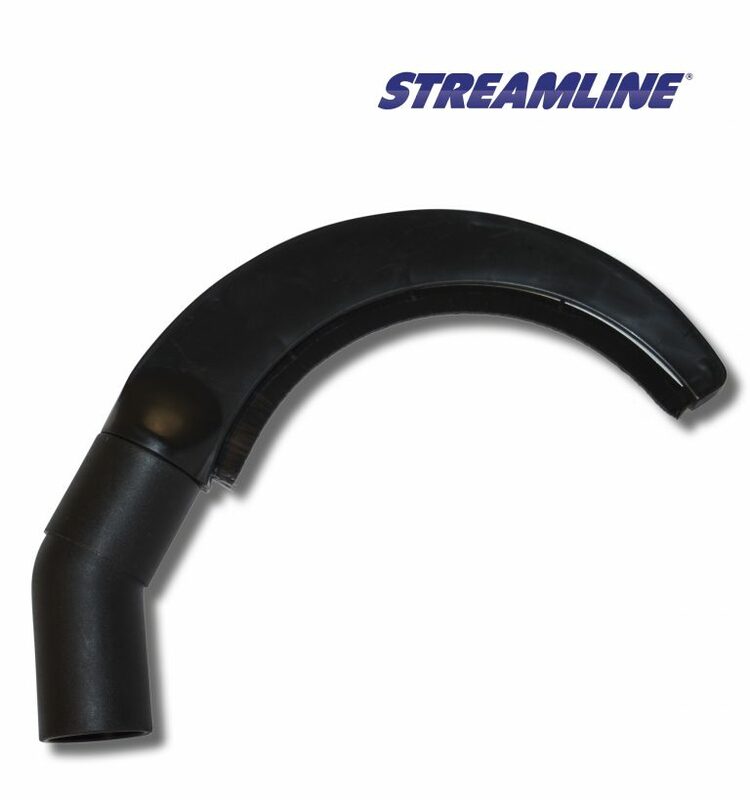 The hose cuff of the vacuum attached to any of the pole sections. Each kit is supplied with a half section too, for versatility of use. 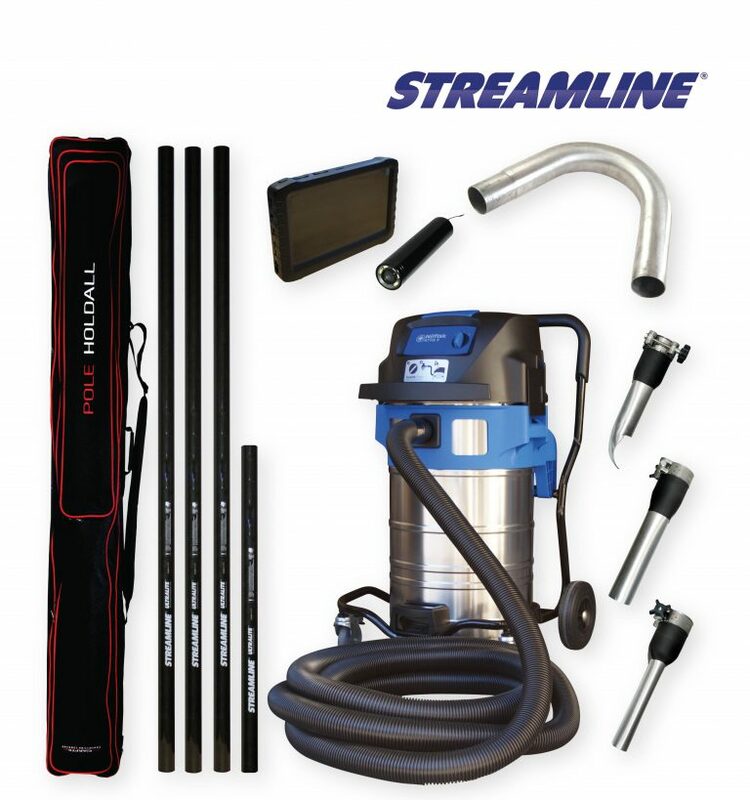 DV-KIT230-2-032 Internal dry vacuum and extension poles available in 32mm carbon fibre providing a reach up to 20ft, complete with 3 x internal dusting tools.